Can Today's Abercrombie & Fitch Shake Its Damaged Brand Image? Under the leadership of CEO Mike Jeffries, the mission of Abercrombie & Fitch, the rhetoric about Abercrombie & Fitch, and the leadership decisions of Abercrombie & Fitch were all geared toward building the value of the Abercrombie & Fitch brand. The products, the customer experience, and the employee experience at Abercrombie & Fitch retail stores were all designed to reflect the value that Jeffries conferred to the brand. While Jeffries seemed to fully embrace the notion that intangible brands can contribute enormous tangible value to a retail company, he did not understand the difference between brand image, created through a company's masterful marketing campaigns, and brand reality, a company's masterful products and customer experiences. To take that brand image vs. brand reality theory out of the conceptual and into the practical, I recall a conversation that I had in a coffee shop in Toowoomba, Australia. Mike Jeffries had just created a global consumer uprising against Abercrombie & Fitch with some remarks about plus-sized teens that many found insulting at best and blatantly discriminatory at worst. 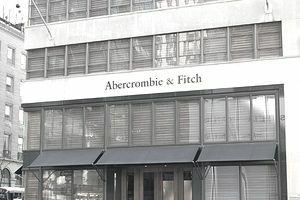 My conversation took place in a coffee shop with a group of millennials from Germany, the Netherlands, Australia, and the United States, which brand-builders would have identified as a perfect focus group for Abercrombie & Fitch. I was a fascinated observer when these millennials, spontaneously and organically, engaged in a lively discussion about Mike Jeffries. The group included both male and female millennials from four different countries. They had all heard about Jeffries' elitist disdain for the XLers who dared to walk and shop among us, and they all had something to say about it, none of which was flattering or supportive for Mike Jeffries. Before the Mike-mocking subsided, Elsa—a German who wears Abercrombie & Fitch brand Hollister—said, "I got this [Hollister-branded] T-shirt in a $5 bin when I was in New York. I don't shop at the Hollister store in Germany." When I asked why not, she said, "Because look at it! It looks like it's been washed a thousand times and I have not worn it much. Their stuff is not such good quality, so I'm not going to pay $30 for a T-shirt." Of all the derisive remarks that were batted around the table after that—and some of them were pretty ruthless—Elsa's remark would probably have been the most disturbing to Mike Jeffries. Not the part about the clothes being poor quality, but the part about the $5 bin. Mike Jeffries despised discount pricing, and the fact that a $5 price point would ever be associated with a Hollister garment—even in casual coffee house conversation—would have horrified Jeffries. And that, in my opinion, illustrates Jeffries' apparent lack of understanding of the difference between brand image and brand reality. No matter how many shirtless boys and cheer squad teen models he used to sexualize the retail experience and fabricate the Abercrombie & Fitch brand image, the bottom line reality of the Abercrombie & Fitch brand was reflected in the relationship between the customer and the product. While Jeffries was seemingly singularly focused on building a brand image that would justify high-end prices, he forgot to notice that the quality of some of the merchandise he was selling was subpar, and customers didn't fail to notice. No marketing department could fix that. Jeffries brand had suited the narcissistic nineties, but the young generation of the time grew up and disbanded. Jeffries might argue that narcissism never goes out of style, but Abercrombie & Fitch's revenue, same-store sales, and stock price declines have outlived his tenure as CEO and seem to indicate that the number of people who agree with Jeffries has continued to shrink year-over-year. Jeffries alienated his customer base by refusing to adjust prices in response to the recession. Loyal Abercrombie & Fitch customers were disgruntled, and turned to competitors like American Eagle, The Buckle, and H&M. Jeffries tried in vain to find a new place where the Abercrombie & Fitch, Hollister, and Gilly Hicks stores could gain traction. He signed $7 million per month commercial leases in Hong Kong, but it was an arrogant and unsustainable leadership decision and the Abercrombie & Fitch global flagship store fleet nearly halted. Mike Jeffries' employment contract reportedly expired on February 1, 2014. Surprisingly it was renewed for one more year after that. Not so surprisingly, Abercrombie & Fitch continued on its downward spiral, and rumor had it that Mike Jeffries was allowed to resign in December 2014 in order to not end his 22-year Abercrombie & Fitch career with an "ousted" label. After being largely written off as a dying apparel brand, Abercrombie & Fitch has recently surged and stocks rallied 85 percent from 2017 to 2018. Hollister is now Abercrombie's largest brand. The company is still focusing on young adult shoppers but with a more realistic pricing strategy and marketing efforts that use music, video, gaming, and social media influencers. Under the new leadership of Fran Horowitz-Bonadies, an American businesswoman, since February, 2017, the company is proving a lot more resilient after all, and its brand image does seem to be morphing as the narcissistic '90s fade from memory. Which Retailers Have the Best and Worst Reputation With Consumers?